Photo via A Well Traveled Woman. 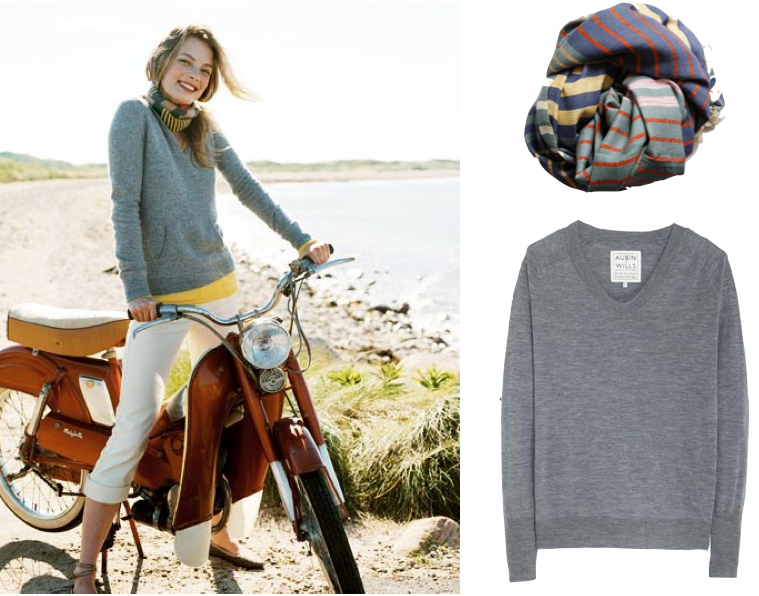 Épice scarf ($165); Merino wool sweater ($122). Love this style! Very cute! Adore this look. Epice scarves are the best! This is wonderful. I'll be recreating this look as soon as it gets colder around these parts! Gorgeous outfit. I'd quite like to be on that moped by the beach right now! "All I've gots is a moped... moped... moped..."
Love that scarf, though a bit too early for it yet. very fond of this look! the sweater is wonderful! I love the Mobylette ! that scarf is just gorgeous. I have read this whole post about Beach Moped. I really like this types of Beach Moped and also uniform. Thanks for share this valuable post.